If you need to know how to properly handle, store, or dispose of gas, you have come to the right place. Gas is a critical piece of our lives. Without it, we wouldn’t be able to run our gas-powered vehicles. Things like making sure the kids get to school and the groceries make it to our homes would be a much different experience. It assists us with making sure our gardens and grass look good because it powers most lawn and garden equipment. 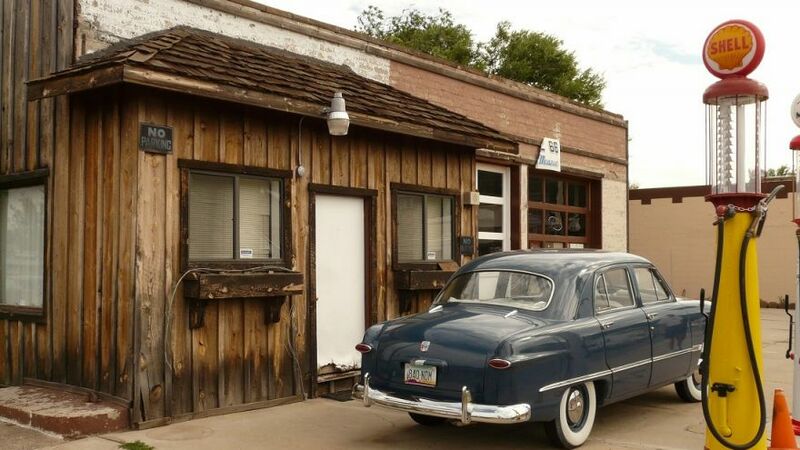 Gas even lets us get to our vacation destinations, be it a cruise, off roading somewhere, a road trip or even flying. As necessary as it is, gas can also be quite dangerous if it isn’t stored or handled in the right way. It should only ever be used for the purposes it is intended for – to power machines, and stored only when you have to store it. Gas should NEVER be used as any sort of barbecue starter, solvent, or any other type of use that doesn’t have anything to do with engines. For this reason, you need to take care with this liquid. When you handle, store, or even dispose of gas properly, you shouldn’t have to worry about its potential danger. Your state and local governments are really the first place you need to turn to in order to find out what their standards and regulations are for gas. 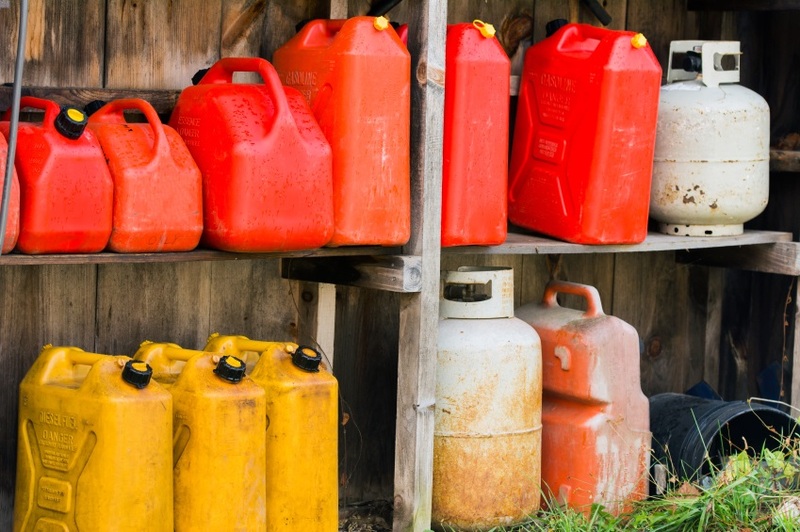 There are quite a few regulations, standards, and codes that are all about the handling and storing of gasoline in Canada and the U.S. As an example, regulations and fire codes restrict how much gas that an individual homeowner is allowed to store (typically, it is less than 25 gallons), and this needs to be stored in 5-gallon containers. Using storage or tanks that are bigger than 25 gallons is generally regulated. Most of the states even have a restriction on the amount of gas you are allowed to carry in your vehicle. There are also fire codes that regulate the type or amount of gasoline storage that is allowed for different uses, such as industrial and commercial businesses, hospitals, car dealers, garages, and service stations. The NFPA (National Fire Protection Association) is the body that establishes standards and codes for safety issues that are related to fire. Quite a few of those standards and/or codes have been adopted in many communities. Do not smoke cigarettes around gasoline. Keep the gas away from the various ignition sources, such as flames, sparks, and heat. Shut your vehicle’s engine off. 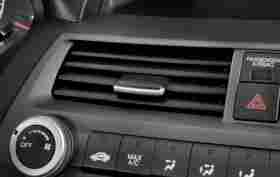 Turn off or disable any sources of ignition that are auxiliary, such as a trailer or camper heater. pilot lights, or cooking units. Make sure that you only ever store gas in containers that have the necessary approved labels that are required by state and federal authorities. You should NEVER store it in glass or any other unapproved containers. 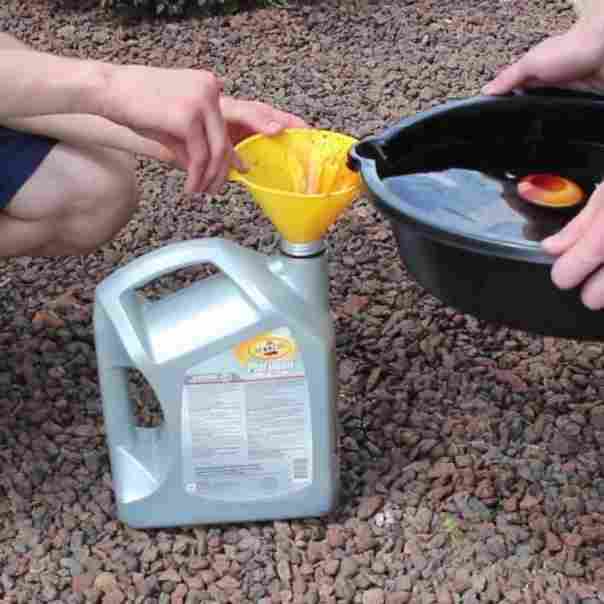 When filling containers that are portable, they should be placed directly on the ground, with the nozzle inside of the container while you are filling it. This will prevent static electricity from building up and discharging. NEVER fill a container while it is on or in the trunk of a car or the bed of a truck. Putting the container directly on the ground will minimize any buildup of static electricity that might lead to a spark that could cause a fire. When filling a container with gasoline, do so at a rate that is slow. This also decreases the chances of static ignition buildup while also minimizing any incidents of splattering or spillage. Control the valve on the nozzle manually while you are filling a container. Make sure that your face is at a safe distance from the opening of the container and the nozzle. Try to avoid breathing the fumes for prolonged periods of time. NEVER siphon gas by mouth. This is a liquid that can be harmful at best and fatal at worst if you swallow it. If you or someone you are with accidently ingests gasoline, don’t try to induce vomiting. Call 911. Always strive to keep gas from getting near your skin and eyes because of the irritation it can cause. Use gas only in areas that are open and get a lot of fresh air. NEVER wash your hands with gas. Remove any clothing that has gotten gas on it immediately. When filling containers with gas, never fill them more than 95% of the way because gas will need a bit of room to expand. When you finish filling the container, place the cap on it tightly. Make sure that you don’t use containers that are not able to be properly sealed. If you spill any gas on the container itself, let it completely evaporate before you put it back in your vehicle. If there are any sort of spills, report them to the attendant on duty. Make sure that you only ever use gasoline as fuel for a motor. When you will be transporting the gasoline in portable containers, you need to ensure that it will be secure from things like sliding and slipping. Also, you should never leave it in the trunk of your vehicle or in direct sunlight. 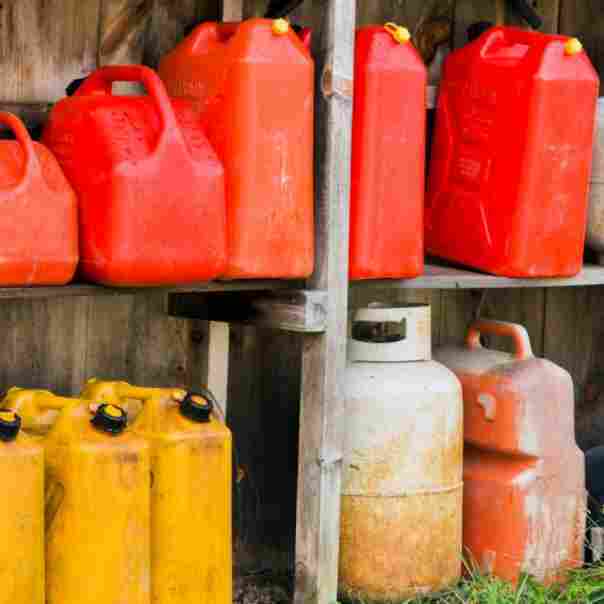 What is the Safest Method for Storing and Handling Gasoline? Gas needs to be stored in an approved tank or container. Gas containers also need to have a label that is approved by the state and/or federal employees. Storing gas in anything else is prohibited by codes designed to prevent fires. Don’t smoke near where gas is stored or handled. Make sure that you always keep gas out of the reach of children. For more optimal ventilation, gas is best handled outdoors. Keep the containers that hold gas closed tightly and handle them with care so that spills are avoided. NEVER mix gas with things like diesel or kerosene. NEVER use gas in kerosene lamps or heaters. 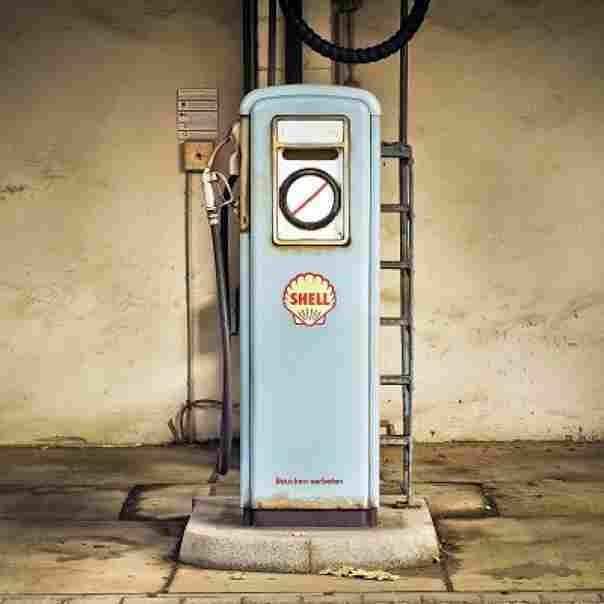 When storing gas, store it in a building that is separate from places that are occupied, like in garages or sheds. Put the gas in smaller engines only when you are sure that the engine and whatever it is attached to are cool. Gasoline storage requires coming up with precautions for cleaning up spills. Spills can be absorbed by rags, paper, or sawdust if they are small enough. Spills that are larger should be first contained and then collected. Check with the local hazardous waste facility or government to find out the right avenues for correct disposal. Place any gas that is recovered as well as any materials used for cleaning it up in approved, properly labeled containers to dispose of. Never try to dispose of gas that was spilled or the materials you cleaned it up with on the ground or by putting them in sewers, toilets, drains, or garbage. If you dispose of these things in those places, it can lead to a fire, or get into groundwater, lakes, bays, or streams. How Long can You Safely Store Gas? If the gas tank or container that is being used for storing gas will not be used immediately and will not be stored in a place that is hotter than 80°F and won’t be left in direct sunlight, you should add a fuel stabilizer to it right when you buy it and before you store it. Fuel stabilizers have antioxidants, and they work to prevent things like gum and/or other compounds from forming; corrosion inhibitors, which keep corrosion and rust from forming; and biocides that keep things like microbial growth from happening. You can get these stabilizers at any parts house. Many of the manufacturers of engines will place restrictions on the length of time that gasoline should be stored before using it in an engine. Pay attention to and heed these recommendations. Freshness can be improved if the gas tank or container will be stored in a place that is cool and if it is kept close to 95% full. That being said, you need to leave room for the gas to expand while it is being stored. Without some form of airspace, the expansion can force the gas to leak from the container and may even distort the container in the process. What is the Right Way to Dispose of It? NEVER dispose of this hazardous material by putting it into the trash, sewer, street drain, stream, or any other type of body of water; or into the ground. These things can be harmful to the environment and can even result in disasters such as groundwater, soil or surface contamination, explosion, or fire. Not to mention the fact that improper disposal can get you criminal penalties and/or fines. 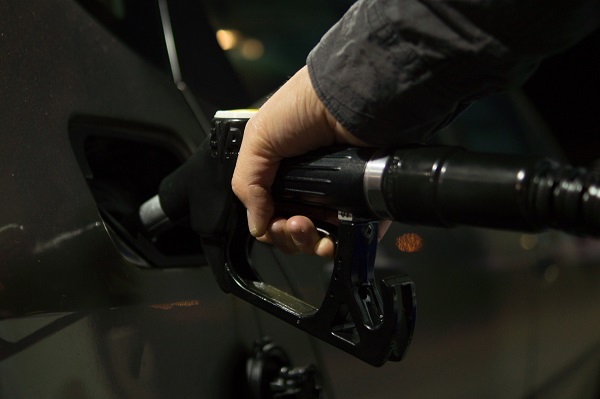 If you have any excess gas, and it is in good condition, you can add it to the fuel tank of your vehicle. Check the recommendations from the vehicle’s manufacturer first though. 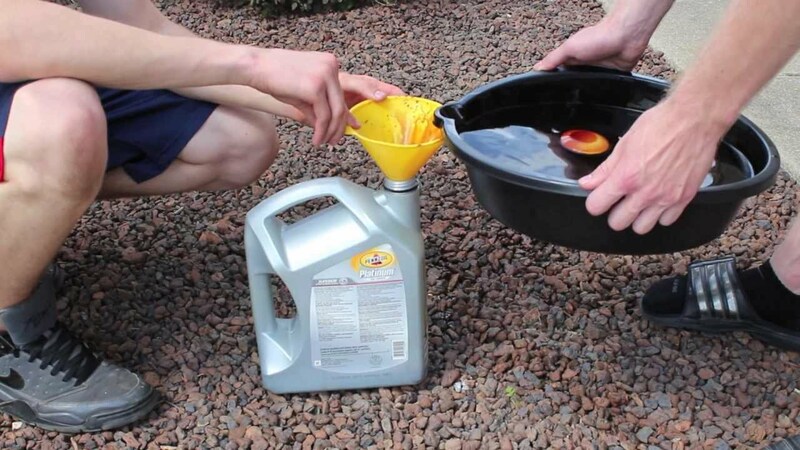 (Don’t get rid of any mixtures of gas and oil for 2 stroke engines by doing this.) That being said. It isn’t easy to get rid of any gas that has already deteriorated. You can find organizations that will assist in the disposal of old gas in ways that are environmentally responsible. Locating the right option might take a bit of research though. You can typically get information of this type from your local fire department, hazardous waste disposal center, or recycling center. You can find the contact information for these places with a quick Google search. You might need to pay to dispose of used or old gas. For this reason, you should only ever buy gas that you know you will need. 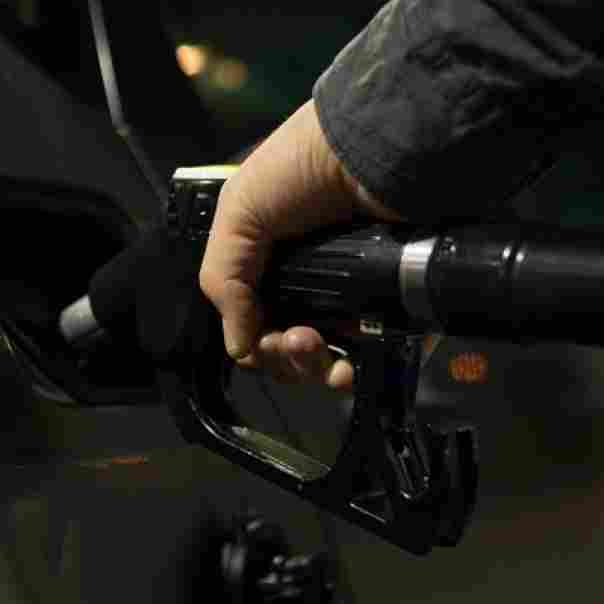 Where can You Find More Information About Gasoline? If you are looking for more information on storing gas, you can check your local building codes and with your local fire department and/or government. You can also request an MSDS (Material Safety Data Sheet) that covers the potential safety, health, and fire hazards of the liquid. You can get this from your local service station dealer or fuel supplier. If you still have questions, you can also get in touch with the National Fire Protection Association or the National Safety Council. The National Fire Protection Association is the body responsible for coming up with codes and standards as well as for education and research for safety and fire related issues. The National Safety Council is a sort of clearinghouse for data regarding the handling and storage of combustible or flammable liquids. YouTube.com – Old Gas? No Problem!